Have students try these activities to expand their knowledge and interest in the Underground Railroad. Study the map in the topic North to Freedom and ask students to trace several of the routes. Then have pairs of students make a tactile map of one or more routes on the Underground Railroad. Encourage students to use art materials in creative ways. For example, they can use yarn to show the routes and clear plastic wrap and blue construction paper for waterways. Remind students that maps should have titles and keys that explain colors and other symbols. In Underground Railroad, students read about safe houses where escaping slaves were hidden. Have small groups of students make a model of a home with at least one large room. Tell them to modify the room to incorporate a place where escaping slaves could hide. The main room should not be obviously smaller than the dimensions of the building would suggest. Tell students to furnish the room with cardboard furnishings and material-scrap draperies they make. Display the models. Ask small groups of students to write a script for a short play that focuses on the arrival of an Underground Railroad passenger at a safe house. Tell them to write the play from the perspective of the passenger or from the perspective of the stationmaster. Provide time for students to assign roles, rehearse, and perform the play. Allow student to use classroom items as props for their play. In Stars, Songs and Secret Songs, students read about two songs with encoded messages that slaves sang. Play recordings of the songs ”Go Down Moses” and “Follow the Drinking Gourd” for students. Encourage them to learn the lyrics and to prepare for a performance in which they sing the lyrics as a narrator explains the meanings of the words. In Free at Last, students read how the slavery issue was resolved through war and amendments. Ask students to find and read the text of the Thirteenth, Fourteenth, and Fifteenth Amendments. Suggest that they perform a choral reading of the amendments. Make certain they understand the meanings of the terms and phrases used in the text of the amendments. Remind students that they read about The North Star, a newspaper founded by Frederick Douglass. Ask students to write a letter to the editor of his paper. Students’ letters should focus on the slavery issue from the viewpoint of a southern plantation owner or from that of a member of an anti-slavery society. Encourage students to use Underground Railroad as a source of information. Suggest that they compile their letters and “publish” them in newspaper format. 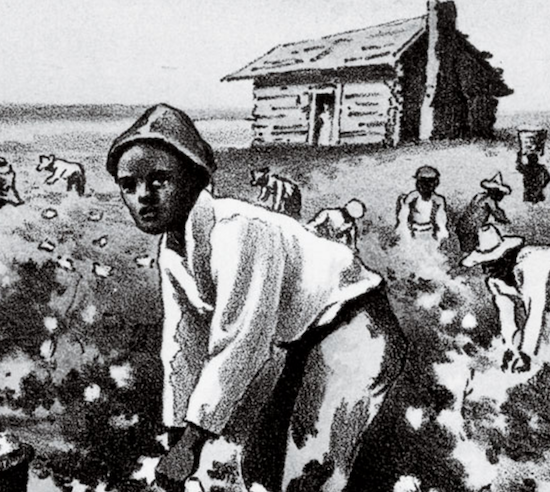 In Slavery in the South, students learn of the effect the cotton gin had on the southern economy. Ask pairs of students to research information about the cotton gin. What did it do? How did it work? What did it look like? Creative students might make a model of the cotton gin. Ask students to prepare an oral report for presentation to the class.